262 beautifully appointed guestrooms, including 14 luxury suites and 9 junior suites, are a monument to the French Renaissance with their wrought-iron furnishings, rich tapestries, stained glass, and leather couches. 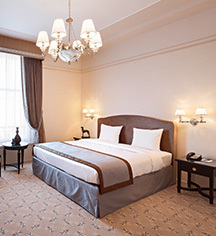 Set in a historic city center address, guestrooms feature an eclectic mix of belle époque, art deco, and art nouveau styles, lending an authentic touch to the design. 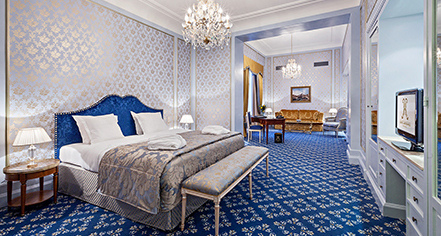 Individually designed guestrooms ensure that each room is unique, and a handful of suites even carry the name of historic figures. The Annie Cordy Suite -- inspired by the famous artist -- is a room carefully styled with 1930s art deco furniture. Here, classic elegance and historic legacy continue to attract travelers from around the world.